D.520 - which one to use? Topic: D.520 - which one to use? Just noticed there are two versions of the D520 - Ranwers and F_Red. If I were to make a campaign, which one should I use? Re: D.520 - which one to use? I did not know there was another version. Works very nice for me. Although containing some inaccuracy, and partly obsolete, this poll could still be helpful. Thank you very much for the new upgrade fixes. I will use it on my version. thank you, Greybeard and vpmedia. I've made my decision to go with Ranwers' and with vpmedia's update. vpmedia, I have a request, is it possible for you to make a Czech skin for the D520 based on your default skin? This is my attempt on Zargos' skin but it's not as nice as your skin. 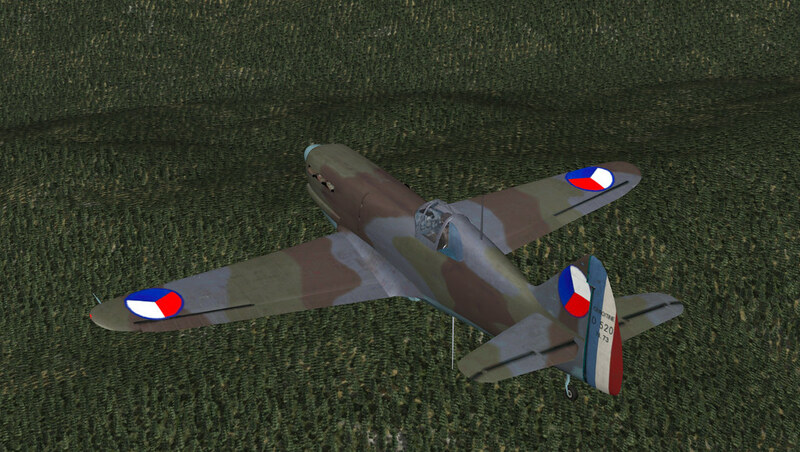 If those Czech roundels would have less color (less vibrante) they would look perfect on any skin. Is this the in-game Czech skin roundels? It may be possible to change the colors on them, and make them look a bit more used and faded. naw, it's not the in-game default roundels. That is just my quick application and not a finished product. I could make it better but I just wanted to show what it could look like. vpmedia's default skin would be a better base.